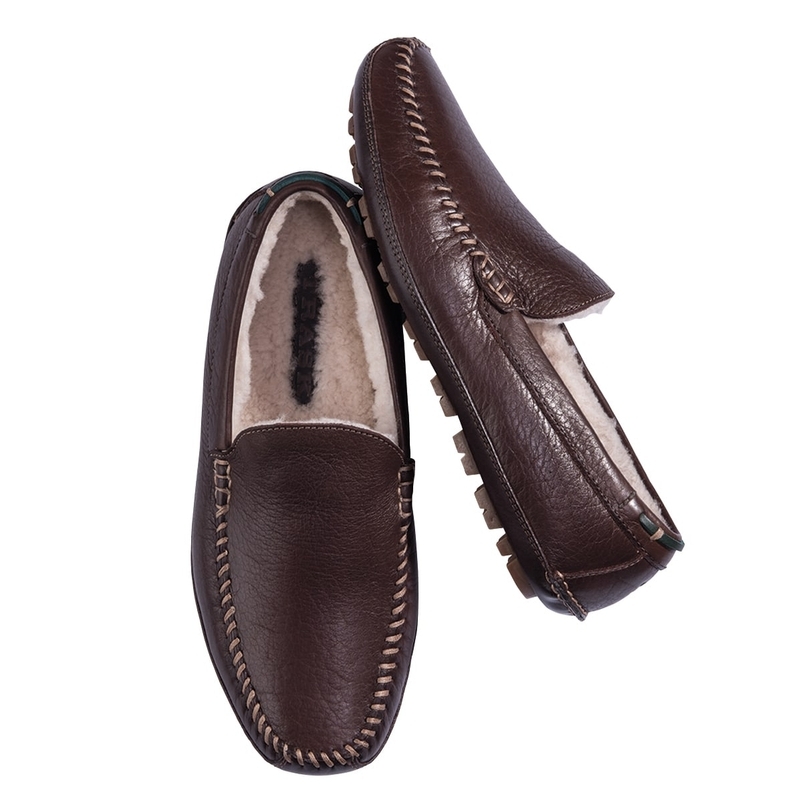 Hand-selected oiled American steer handsewn moccasin with genuine shearling cushioned footbed/ insole. Driver-style rubber pods outsole. Imported.